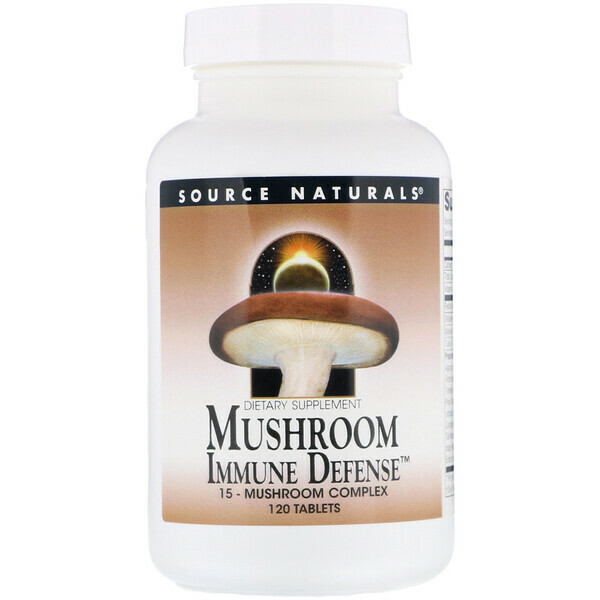 Source Naturals Mushroom Immune Defense is a blend of mushroom mycelia and extracts from 15 of the most well-studied species of health-supportive mushrooms. Although the extract mechanisms of action in the body are not yet fully understood, researchers propose that constituents of these mushrooms may support natural killer (NK) cell, T-cell and macrophage activity, and cytokine production. By carefully combining these mushrooms and fortifying them with extracts, Source Naturals Mushroom Immune Defense offers a broad-spectrum, high potency, complete mushroom product. Stearic acid, microcrystalline cellulose, silica, and modified cellulose gum. Suitable for vegetarians. Contains no yeast, dairy, egg, soy or wheat. 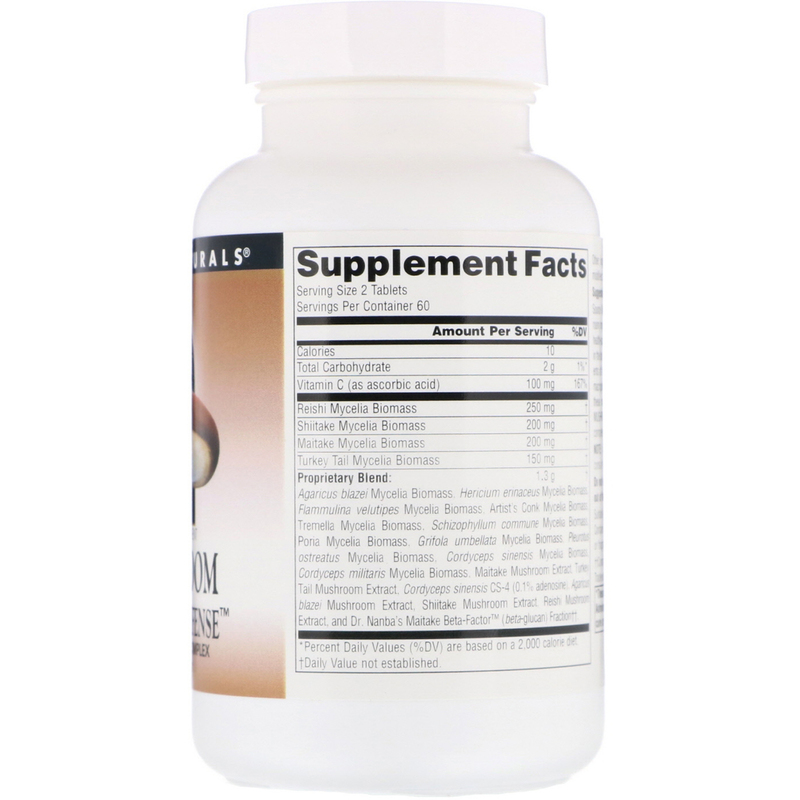 Contains no sugar, starch, salt, preservatives, or artificial color, flavor or fragrance.